Sam Carter has made 20 good tackles so far this game. Lions have won 100 rucks so far this game. Lionel Mapoe makes the break as the defence re-enacts the parting of the red sea. Brumbies make a substitution with Irae Simone coming on. Brumbies make a substitution with Toni Pulu coming off. Trouble here as Aphiwe Dyantyi breaches the defence. Lions sub Robbie Coetzee comes onto the field. Stephan Lewies departs for Lions. This is dangerous for the defence as Tevita Kuridrani bursts through to advance the Brumbies attack. 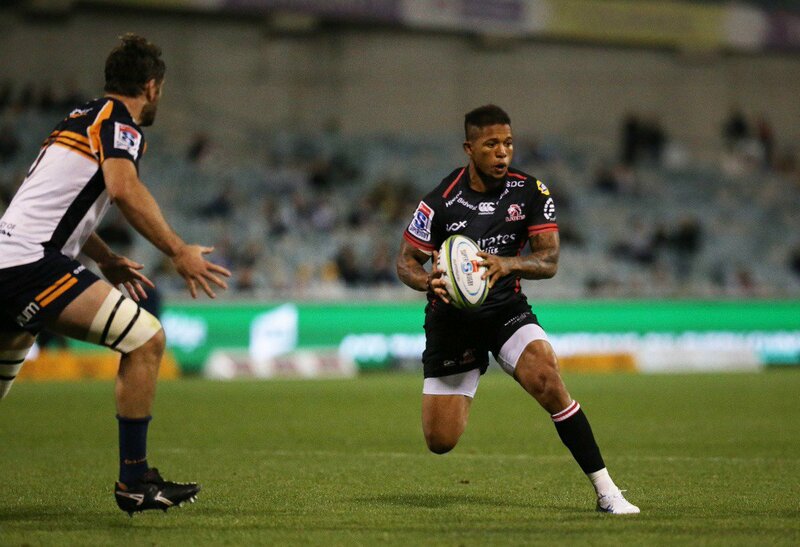 A gap opened in the defence and Aphiwe Dyantyi took full advantage. The defensive line has been broken as Sylvian Mahuza goes through the gap. What a run here by Sylvian Mahuza as they gets over the gainline!.  Gianni Lombard sets up the try. Incisive passing by Lions is finished off by Sylvian Mahuza, as he goes over for the try. Stephan Lewies makes the break as the defence re-enacts the parting of the red sea. 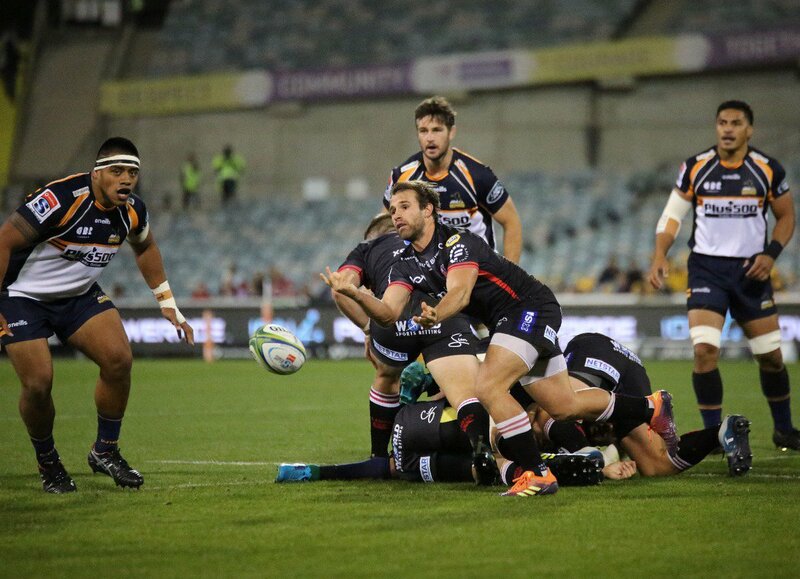 Fabulous play by Brumbies has led to Tom Wright being able to wriggle through a gap. Trouble here as Sylvian Mahuza breaches the defence. Lions decide to make a substitution, with Ross Cronje getting some game time. Lions decide to make a substitution, with Nic Groom being replaced. Lions make a substitution with Wilhelm van der Sluys coming on. Lions make a substitution with Marvin Orie coming off. Sam Carter has made 10 good tackles so far this game. This is dangerous for the defence as Jahrome Brown bursts through to advance the Brumbies attack. Brumbies sub Josh Mann-Rea comes onto the field. 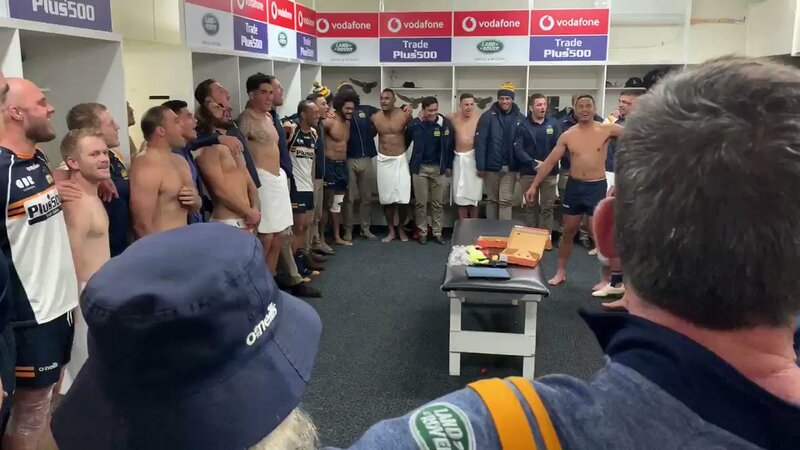 Folau Fainga'a departs for Brumbies. James Slipper sets up the try. A bit of individual brilliance by Tom Wright leads to a try for Brumbies. A gap opened in the defence and Tom Wright took full advantage. Rhyno Herbst leaves the field. Christian Lealiifano sets up the try. Silky skills by Brumbies ends with a try for Thomas Banks. Brumbies decide to make a substitution, with James Slipper getting some game time. 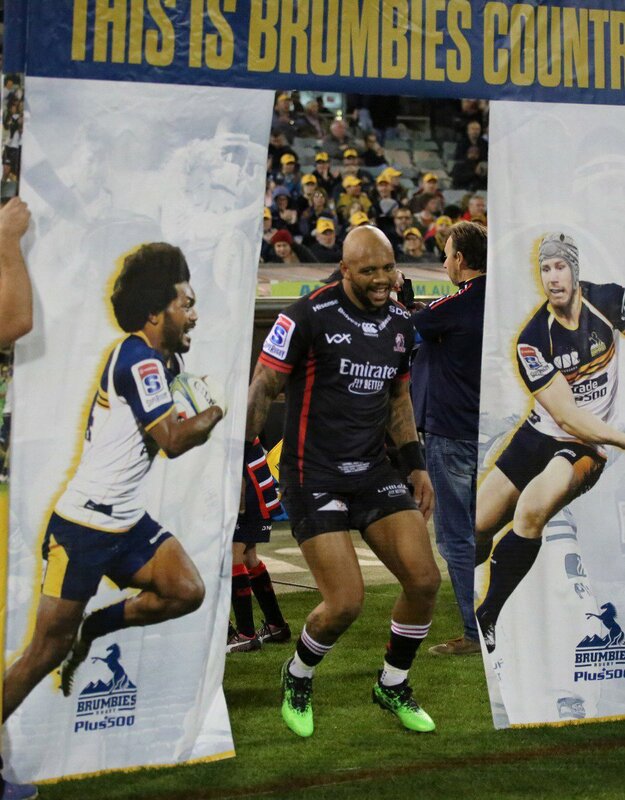 Brumbies decide to make a substitution, with Scott Sio being replaced. Marvin Orie sets up the try. 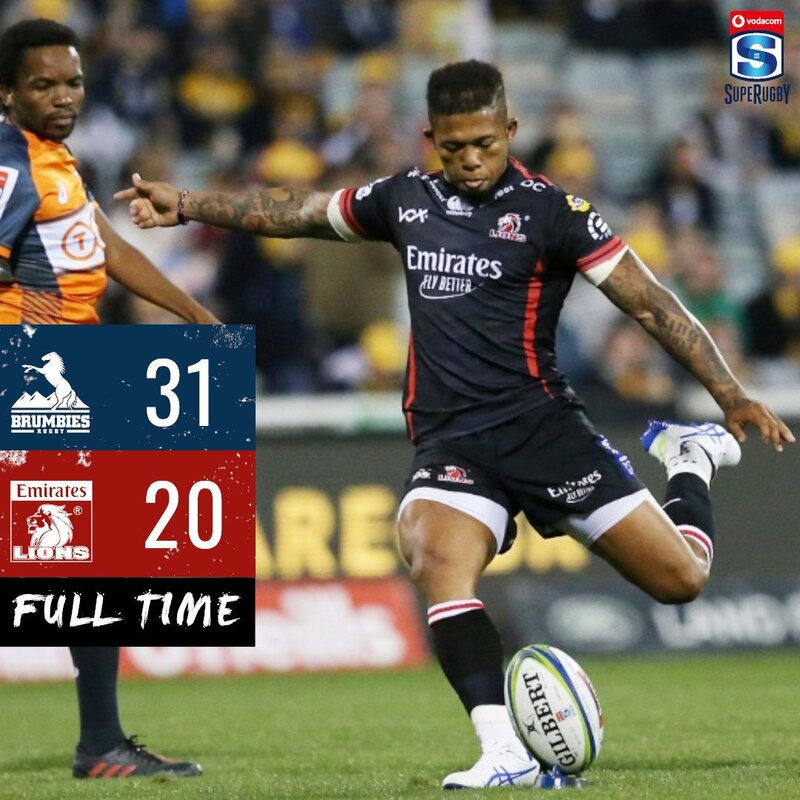 A wonderful passing move by Lions is finished off by Elton Jantjies. What a run here by Elton Jantjies as they gets over the gainline!. 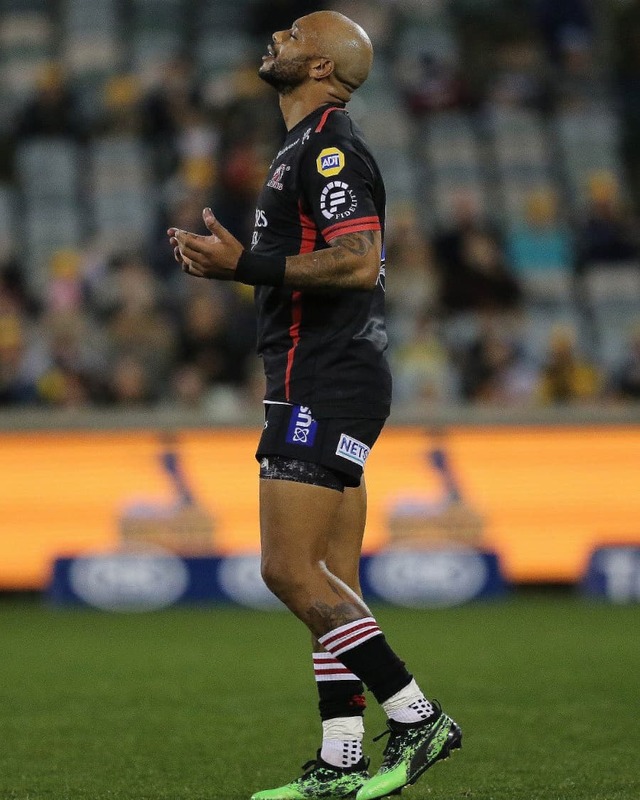 Folau Fainga'a has made 10 good tackles so far this game. Ruan Combrinck makes the break as the defence re-enacts the parting of the red sea. Lions make a substitution with Sithembiso Sithole coming on. Lions make a substitution with Nathan McBeth coming off. Lions sub Carlu Sadie comes onto the field. Johannes Jonker departs for Lions. Lionel Mapoe comes on for Lions. Gianni Lombard leaves the field. Christian Lealiifano hits the right post with the conversion, failing to add the two points. Spellbinding play by Tom Wright is finished off with a try. 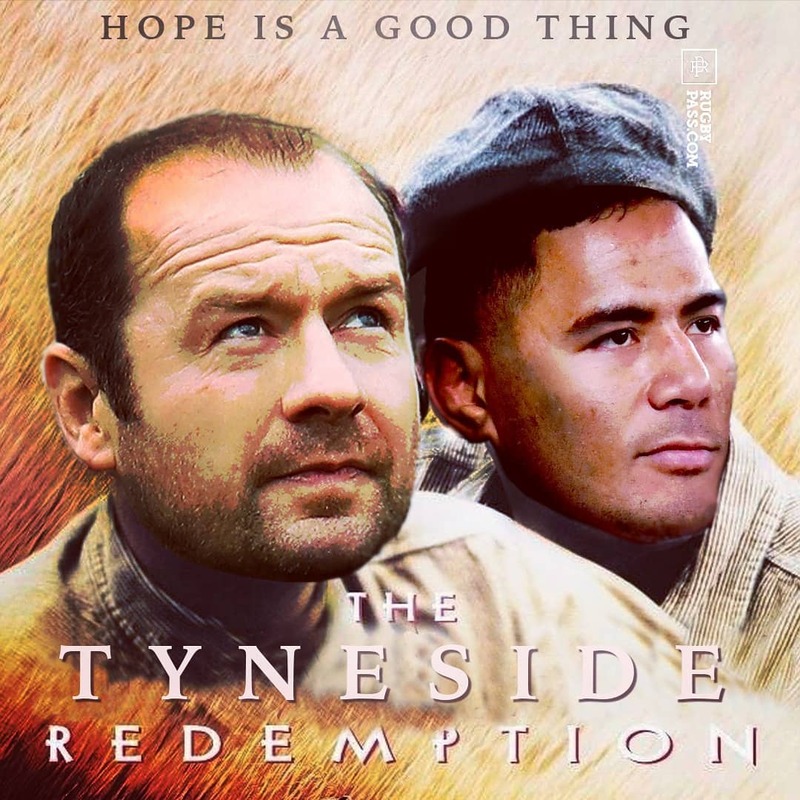 A stunning solo try from Tevita Kuridrani. 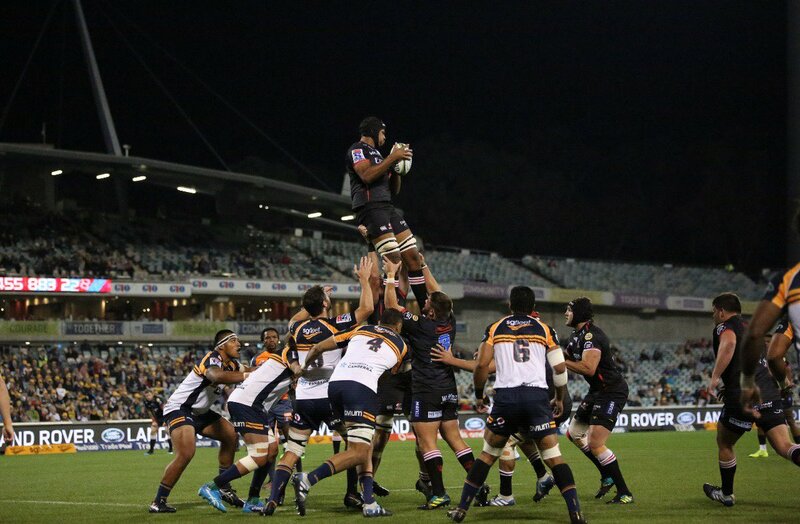 Fabulous play by Brumbies has led to Tevita Kuridrani being able to wriggle through a gap. Marvin Orie has made 10 good tackles so far this game. Christian Lealiifano converts the try. 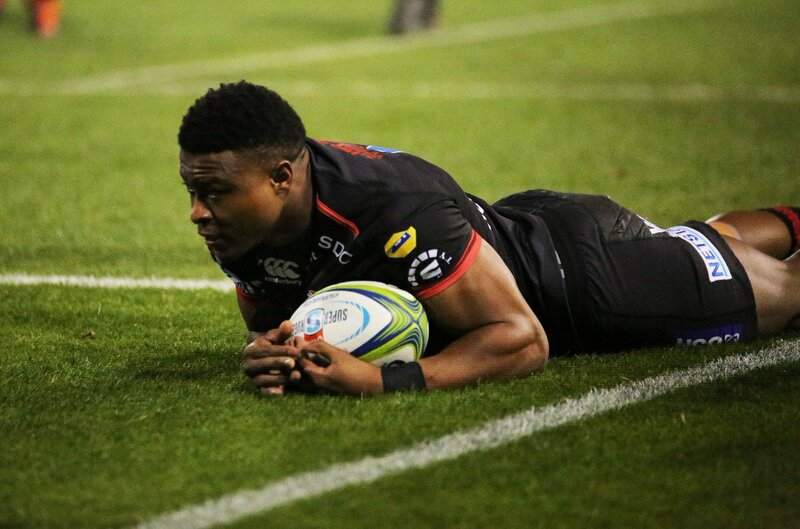 Peter Samu played a key part in that try. A series of passes by Brumbies results in a try for Toni Pulu. 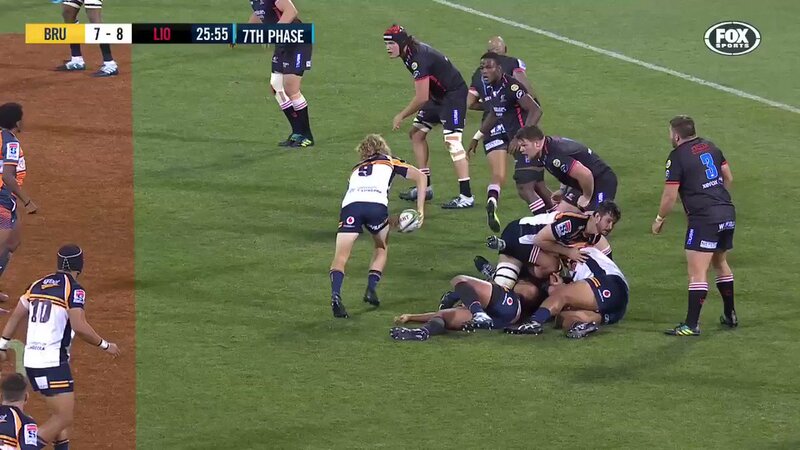 This is dangerous for the defence as Toni Pulu bursts through to advance the Brumbies attack. Brumbies are only a few metres out, surely they must score! And they do with Lachlan McCaffrey touching down. Andries Coetzee sets up the try. Great hands by Lions leads to a try for Aphiwe Dyantyi. Tom Wright (Brumbies) is shown a yellow card. 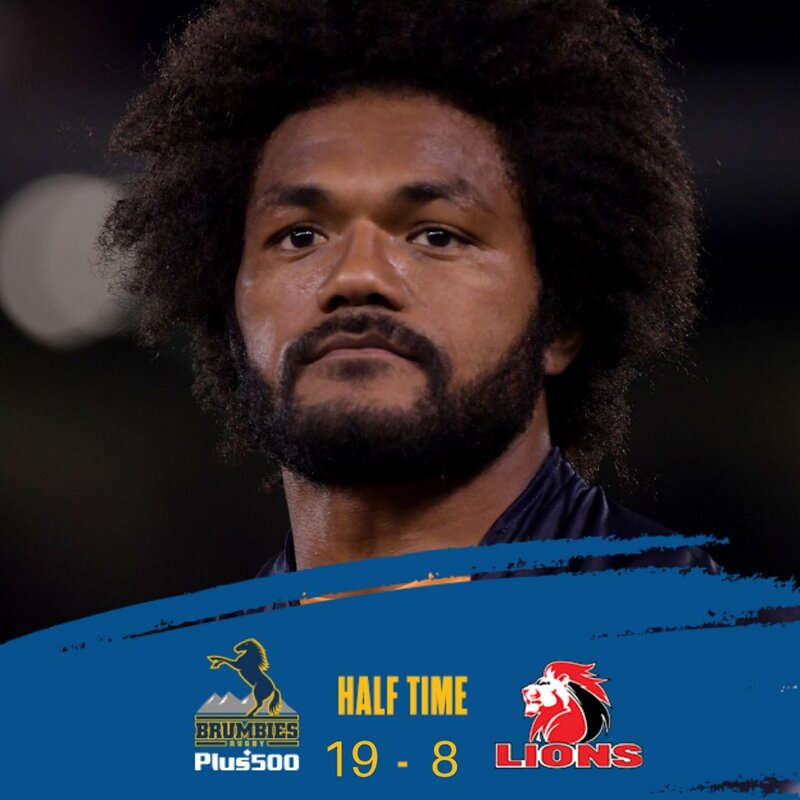 Emirates Lions 20 Brumbies 31. Sylvian Mahuza gets on the board after quick hands by Gianni Lombard. Brumbies stretch their lead to 31-15. And its the ponies galloping to another try in front of their home-crowd. 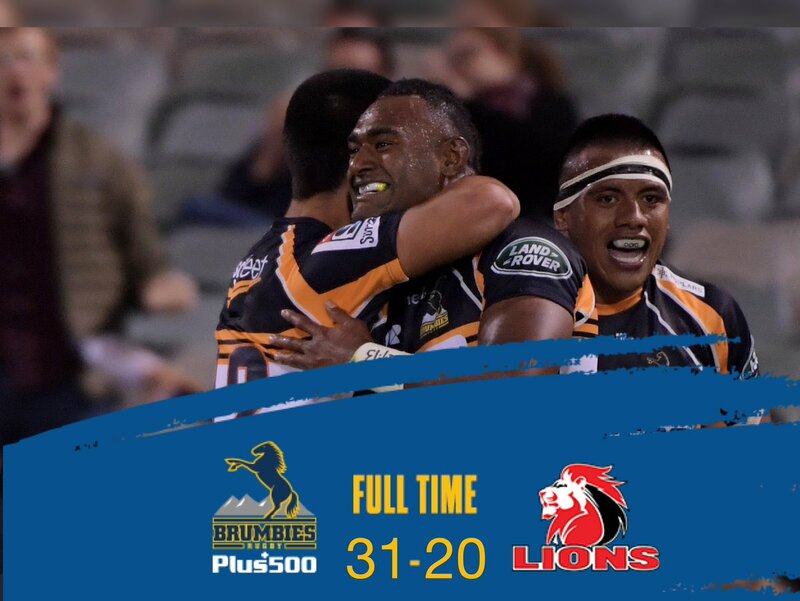 The Brumbies are over and extend their lead to 24-15. 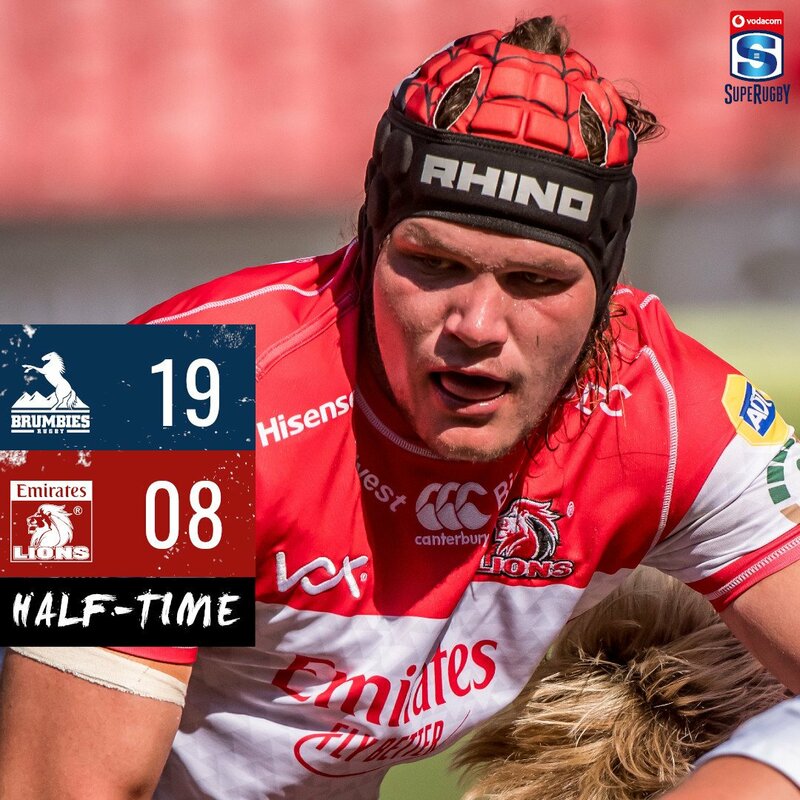 Elton Jantjies Try after a bit of momentum by the Lions. Score to the Brumbies just before half-time. Successful conversion takes the Brumbies to 14-8. Anther quick try by the home-side takes them to 12-8. Emirates Lions take an early lead, 5-0 after 8 min of play. Try - Aphiwe Dyantyi, 8th VSR try for the winger.